Since you’re reading this, you probably already know that we’re quite fond of life in New Orleans, Baton Rouge and on the Mississippi Gulf Coast. We are passionate about being from here, working here and living here each and every day. These are places where the food, music, people and sports are second to none. And one of the best parts of this community is that it doesn’t stop at the city limits. The surrounding areas are full of beautiful places and friendly faces, and it turns out, this opinion is shared by many! 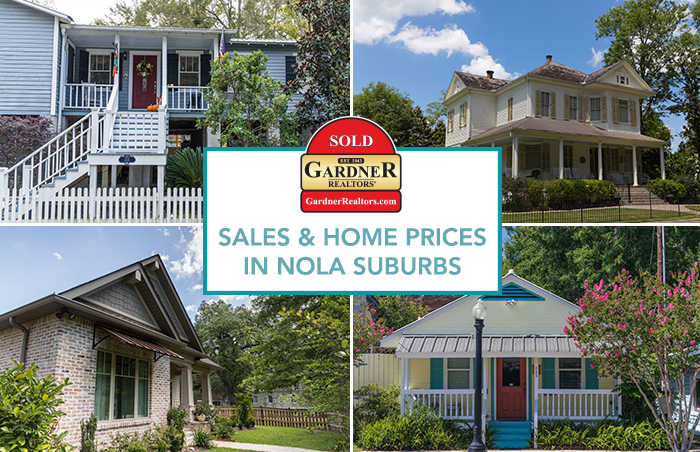 The housing market in the New Orleans suburbs is strong, with sale prices rising by the day. This means it’s a great time contact the local experts at Gardner Realtors to find your dream home! These statistics come from Real Property Associates who use data from the New Orleans Metropolitan Association of Realtors and Gulf South Real Estate Information Network. 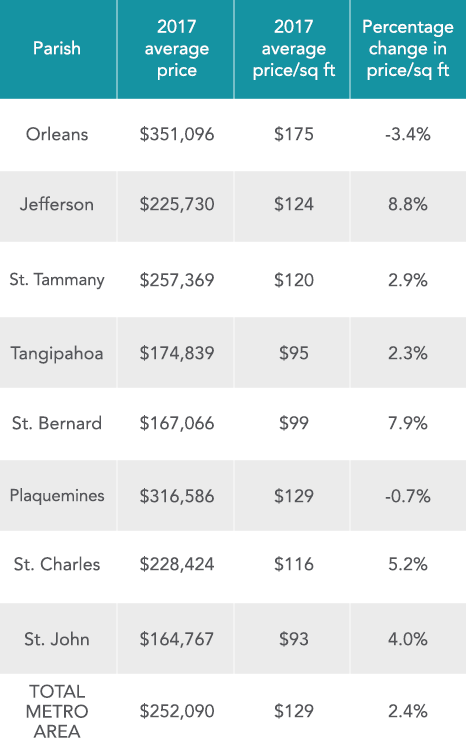 More specifically, this data is from single-family homes sold in the eight-parish region surrounding New Orleans, including Jefferson, Orleans, Plaquemines, St. Bernard, St. Charles, St. John, St. Tammany and Tangipahoa parishes. by Wade Ragas, Real Estate Property Associates Inc.
With these numbers in hand, we’re optimistic about the growth of New Orleans and the surrounding metro area. St. Bernard and the surrounding Parishes are keen to continue their growth streak with the coming $1 billion container terminal being built in Meraux by the Port of Orleans. Similarly, the $360 million expansion to Ochsner Health System’s Jefferson Highway campus should create more real estate demand in both Orleans and Jefferson Parishes. With the tradition of New Orleans and exciting projects and growth piling up in the pipeline, the future is bright not only in the Crescent City but in the New Orleans suburbs as well! Especially in markets like New Orleans, Baton Rouge and the Mississippi Gulf Coast, it’s important to have experts on your team who know your local market. We know this community, we love this community, and we can’t wait to help you find your dream home!